Fortified Vitamin B Complex is a staple in my goat medicine cabinet. This post will help you understand the importance. Are B vitamins necessary in a goat’s diet? Goats manufacture B vitamins in the rumen through micro-organisms during the digestion process. Goats utilize (absorb) the B vitamins that the rumen creates and eliminate any excess. B vitamins are not necessary supplements in the diet of a healthy goat. In fact, B vitamins are not metabolized (absorbed) through the ingestion of feeds at all. They are only absorbed through the rumen system, solely through the internal manufacturing process. What causes a thiamine deficiency? Any illness or condition that leads to a goat not eating can cause the rumen to function poorly, or not function at all, resulting in a drop (or cessation) in B vitamin production, which lowers the absorption of the most important vitamin (B1, Thiamine) to a goat’s health. Goat kids are very prone to thiamine deficiency. The rumen does not fully function at a very young age, and the immune system continues to build during the first year of life. Symptoms of thiamine deficiency include: weak back legs, staggering, confusion, star gazing (looking upwards, stretching the neck), diarrhea, muscle tremors, convulsions, circling, and blindness and depression. In the later stages, the goat is unable to stand or rise up, death will follow. The importance of the correct fiber to starch ratio is extremely important to a goat’s health. When the ratio is incorrect, or when the goat overloads on carbohydrates resulting from too much grain or starch, the rumen stops functioning correctly resulting in less production of B vitamins, or no production at all. Long stemmed fiber, such as good quality hay, is very important to proper rumen function. A change in diet may also lead to rumen function issues. Feeds must be changed gradually, allowing the rumen to adjust over a period of 7 to 10 days. Moldy hay or feed also leads to poor rumen function and illness. Goat Polio (Polioncephalomalacia) is a disease that results from thiamine deficiency. It is easily treated, early on, with larges doses of thiamine. Goat Polio and Listeriosis have very similar symptoms and causes. For this reason, I also include penicillin in the treatment. Note, Listeriosis normally affects full-grown goats, not kids. How is thiamine deficiency treated? Fortified Vitamin B Complex contains 100 mg/per ml of Vita B1 (Thiamine). When injected under the skin the goat is able to absorb the B vitamins, replacing what they are not able to produce. A goat will not overdose on an injection of B vitamins. The excess is expelled through urination. 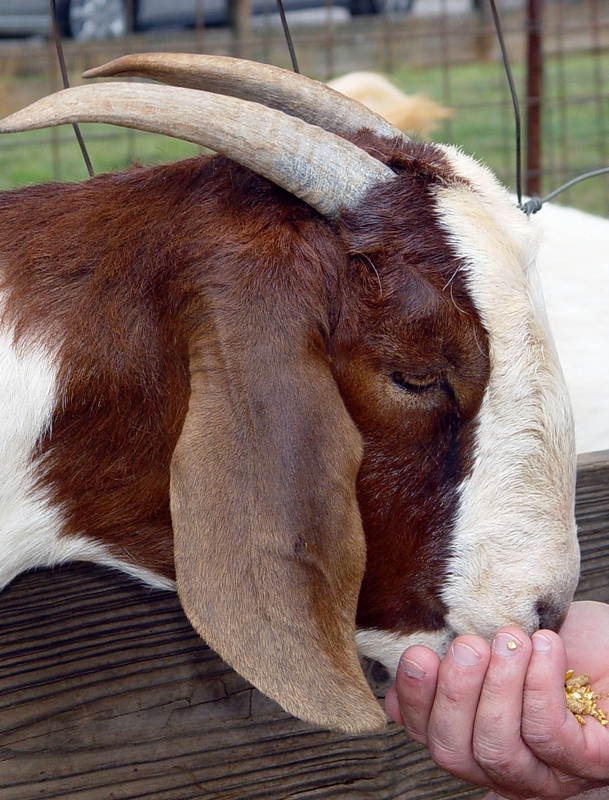 As prevention, probiotics are often administered by goat owners each time feed is changed, when oral medications are given, or when the goat is stressed. The administration of probiotics assists with proper micro-organism balance in the rumen. Note: purchase Fortified Vitamin B Complex, not Vitamin B Complex, the latter does not contain the correct percentage of thiamine (B1), 100 mg/per ml, required for treatment of thiamine deficiency. When a goat is “off,” the quicker the problem is diagnosed and treated, the better the chances of successful treatment and survival. It is best to separate an ill goat from the herd, provide clean dry bedding, fresh water, and adequate feed – especially good quality hay.